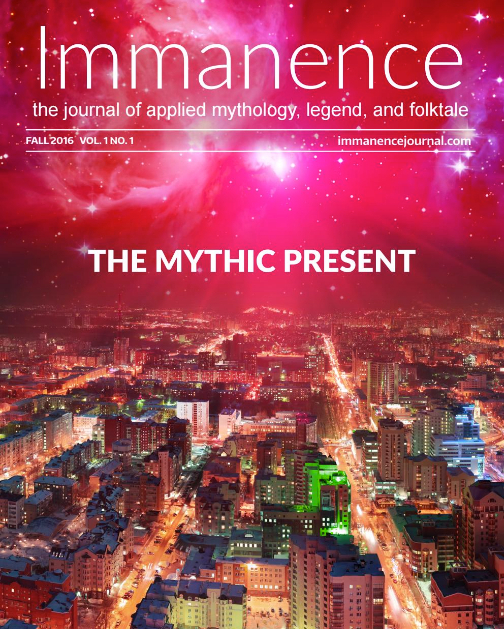 Immanence is a twice-a-year publication with articles, poetry, fiction, and art that encourages optimistic, positive, and realistic engagement in our world by re-telling myth, story, legend, and folklore in new ways. It was founded in 2014 by Dr. Craig Chalquist, PhD, who was aiming to mitigate the lack of publications on myth and folklore that give focus to their psychological aspects. 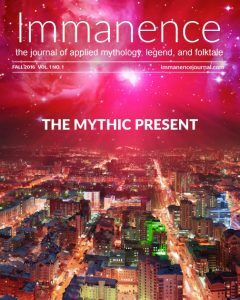 In an interview for the JCF, Dr. Chalquist conveyed that he and his team of editors – all mythologists – are primarily interested in why old myths and folklore are relevant in today’s society. Immanence gives voice to works that analyze and retell myths and the wisdom they convey from creative depths. To the team, a relationship with eternal motifs is our birthright – a part of our composition as humans. Be it sitting by the fire in ancient times or reading this journal in 2018, myths are part of our lives – so much so that their emergence can be synchronistic. Often times, an issue becomes relevant at around the same time the journal publishes an edition, as if by anticipated design. We live in a world that’s much more enchanted than most people realize. These stories are still happening all the time, all around us. The Immanence team is looking to grow! If you wish to join, simply reach out through their contact page expressing interest. Explore the website and learn more with each publication! Nina Borghi is a Brazilian writer and director, currently living in Los Angeles. Since 2017, Nina has been working as an intern for the Joseph Campbell Foundation, contributing with various articles and interviews; learning as much as possible as she goes.